Get a head start on summer rosé sipping with some expert picks from among medalists selected this month at the American Fine Wine Competition, South Florida’s home-grown wine event. 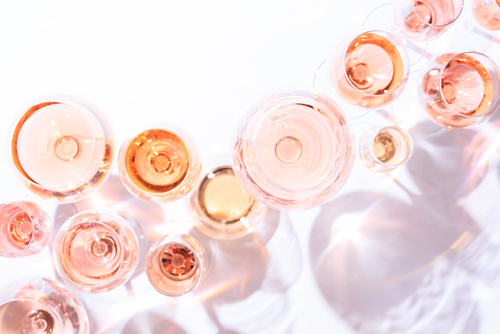 “THE Rosé Competition 2019 received a total of 151 entries and the 12 esteemed wine judges awarded 21 Double Gold Medals, 30 Gold Medals and 50 Silver Medals,” says AFWC president and co-founder Shari Gherman. Judges at the competition April 6 in Fort Lauderdale named Napa’s Grgich Hills Estate Rosé, 2018 ($25) Best in Show in the Dry Rosé Category; and Napa’s Domaine Carneros Brut Rosé 2015 ($42) Best in Show in the Sparkling Wine Category. The competition drew rosé vintners from around the world, including Israel’s Galilee, Italy’s Dolomites and Spain’s Penedes region.